Our facility is second to none when it comes to our machining department. 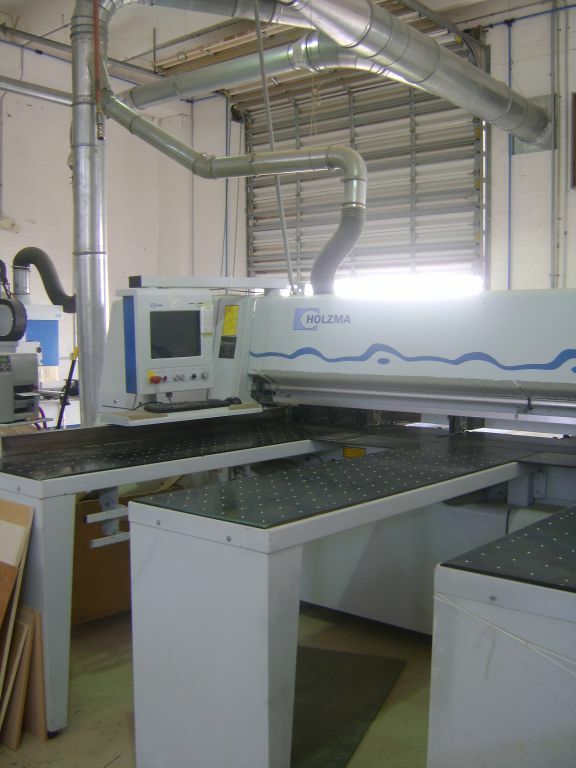 We have the latest in CNC (Computer Numerical Control) machines. CNC Automation reduces the frequency of errors and provides machine shop operators with time to perform additional tasks. Automation also allows for more flexibility in the way parts are held in the manufacturing process and the time required to change the machine to produce different components. 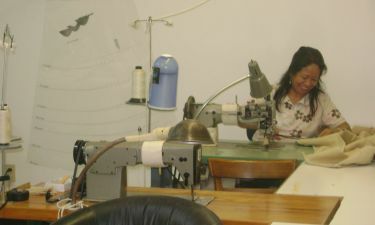 The entire second floor is designated to the Upholstery and Drapery Department. 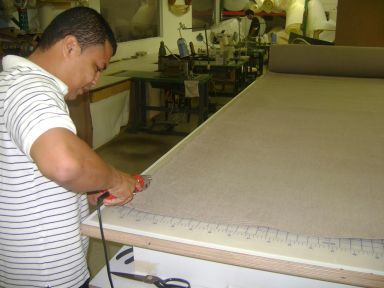 Our Highly skilled team can fabricate sophisticated draperies, wall panels, and window treatments. We house Two Full Paint Booths with a separate prep area keeping all finished products dust free!! 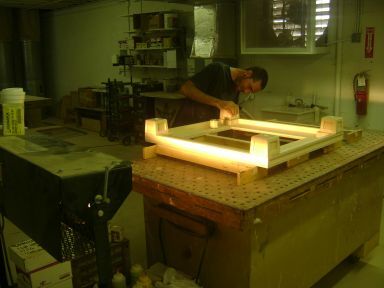 In Our Assembly area every unit is erected with the appliances if applicable to make sure there are no issues when it comes time for the final install. 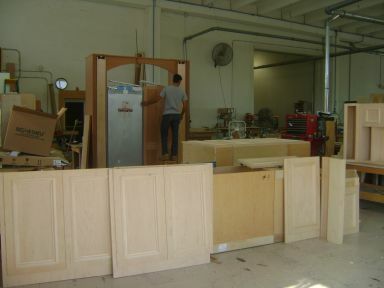 Here you see a full Kitchen being assembled before going into finish. 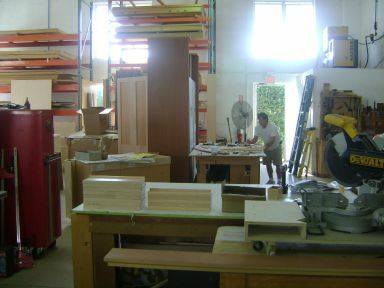 Every part cut is labeled and separated in the order of fabrication. This helps expedite the assembly process. Computers play a big part in making all of this happen. 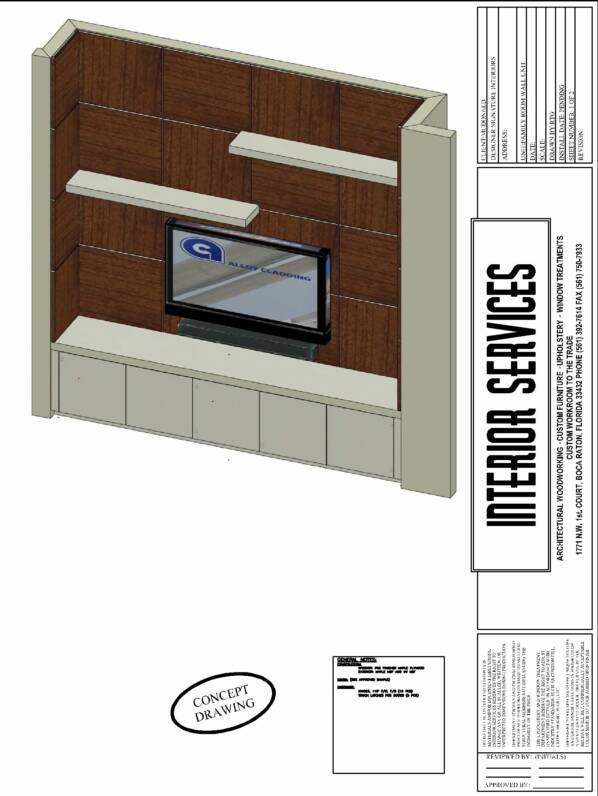 We use AutoCAD and a program called Microvellum to create every part that needs to be cut, routed, etc. on the CNC Machines. You have to have the right tools to maximize productivity! You can see below how this can be a valuable tool when showing a client what to expect when the job is complete. Here is the Same Kitchen Fully Assembled before it goes into Finish.